MONGOLIA, JULY 3RD – 6TH 2018. 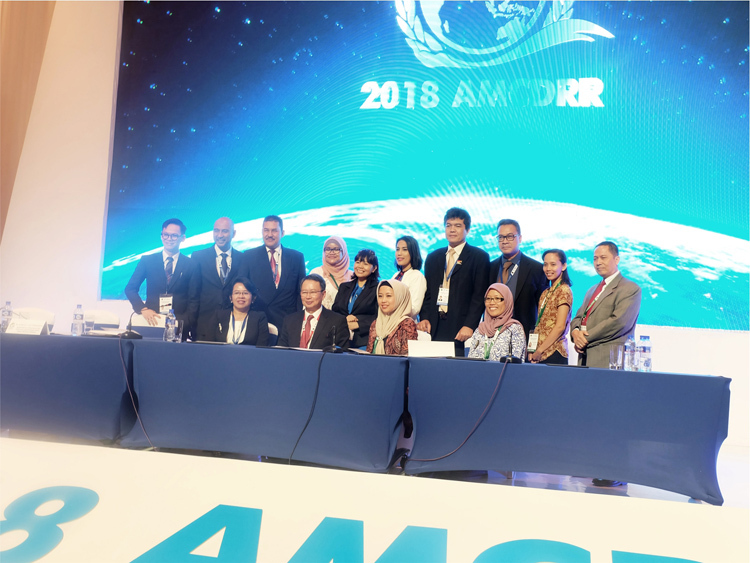 The Asian Ministerial Conference on Disaster Risk Reduction (AMCDRR) brings together a diverse range of Asian stakeholders and policy makers to discuss latest developments in disaster risk reduction (DRR), of which forms a key element of disaster management efforts across the globe. 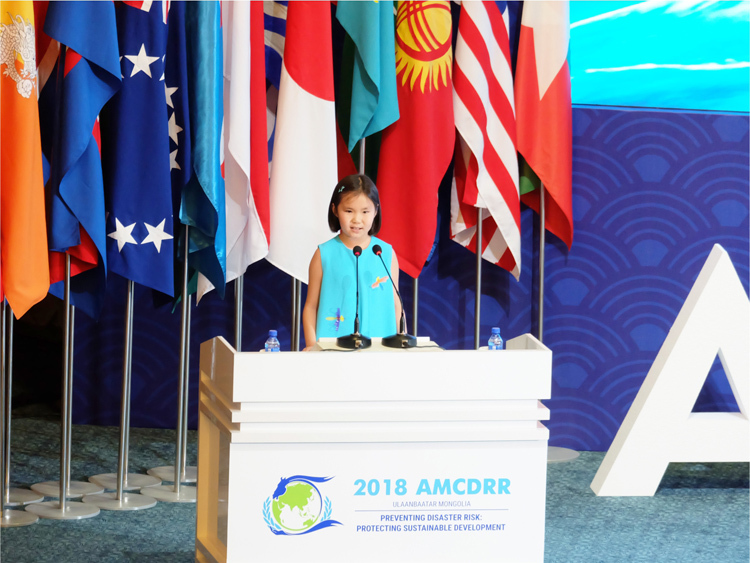 The biennial meeting was this year held in Ulaanbaatar, Mongolia, from the 3rd to the 6th of July, 2018, with representatives from the AHA Centre in attendance. 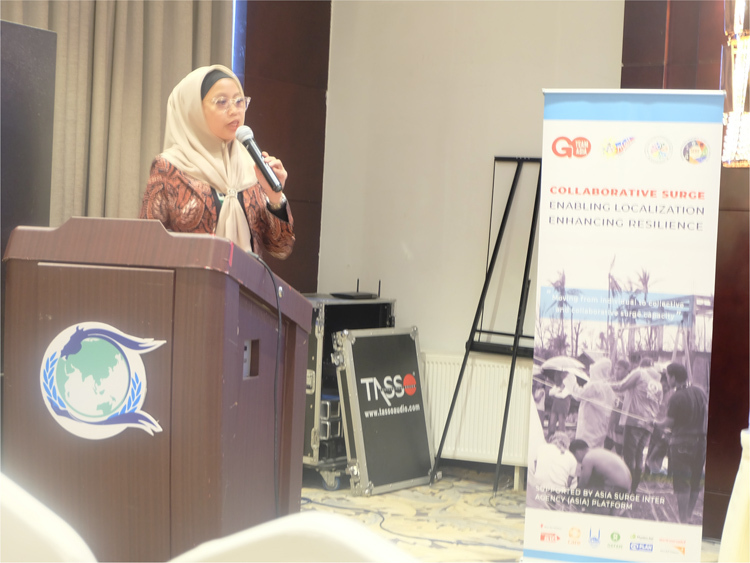 This meeting forms a key activity in the Asian region’s efforts to implement the Sendai Framework for Disaster Risk Reduction 2015-2030 – with global and regional risk reduction platforms central to its overall implementation success. While DRR is not a specific focus of the AHA Centre’s direct work, the meeting retains high importance and relevance, as it provides the AHA Centre the opportunity to engage with its partners, share knowledge, and gain relevant insight into actions that may benefit the AHA Centre’s work – particularly related to disaster monitoring and capacity development. 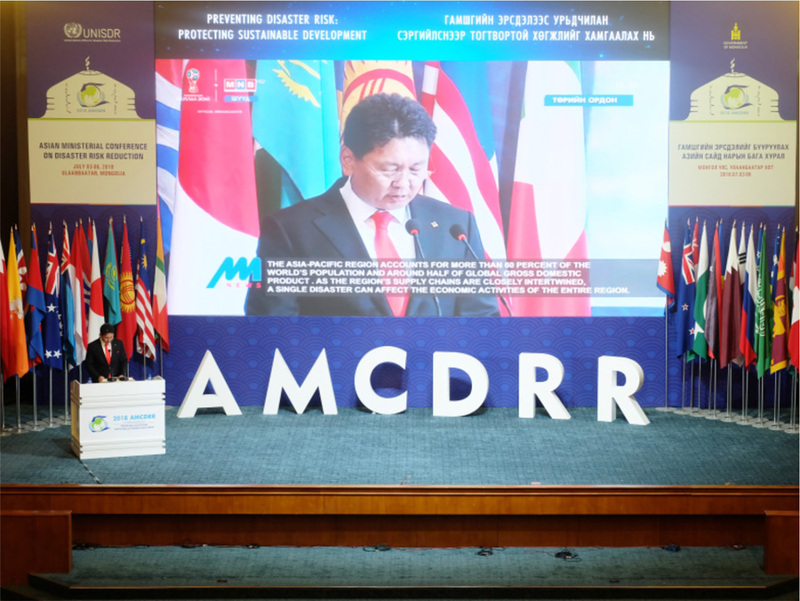 2018’s AMCDRR covered a range of important and strategic topics, including technical sessions on issues such as understanding risk, thematic sessions including private sector interventions, and public events raising topics such as World Tsunami Awareness Day. The meeting also resulted in the formulation of the Ulaanbaatar Declaration – a declaration from all engaged nations that recognises current disaster issues, calls on government and other stakeholders to increase and continue their disaster risk reduction efforts, and resolves to implement all outcomes and efforts stated within the declaration. For the AHA Centre itself, particular value was gained through engagement in sessions regarding early warning and alert systems, which was a central topic during the 2018 meeting. The implementation and improvement of early warning and alert systems would serve to support increased speed and early engagement within the AHA Centre’s disaster response efforts. As a result, such improvements could lead to stronger instances of early recovery. The AHA Centre was also interested to learn further from civil society organisations about their initiative to develop CSO-led surge capacity, in which CSOs can also mobilise their own assets and capacities during disaster response. 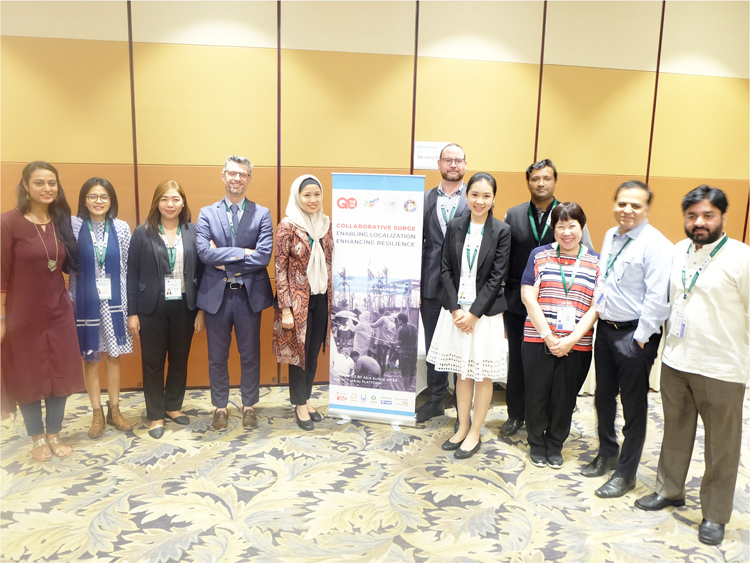 Integrating such ideas within the ASEAN Joint Disaster Response Plan (AJDRP), for example, could increase the capacity and coordination within disaster responses across the ASEAN region through the use already-existing assets. 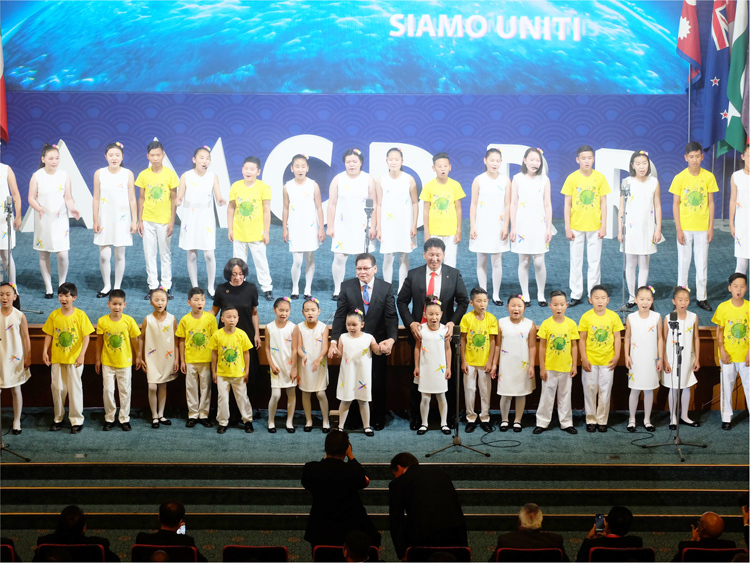 Strategies such as this also provide strong evidence for the importance of the ongoing development of the ASEAN Standards and Certification for Experts in Disaster Management (ASCEND) project – increasing its strategic relevance to foster a united and strong ASEAN region under the implementation of the One ASEAN, One Response vision.